Modifying the Pixel Launcher, the default home screen on Google’s Pixel-branded smartphones, isn’t a new idea. Launchers like Lawnchair add custom icon support and other extras to the Google Launcher for the Pixel and Pixel XL. 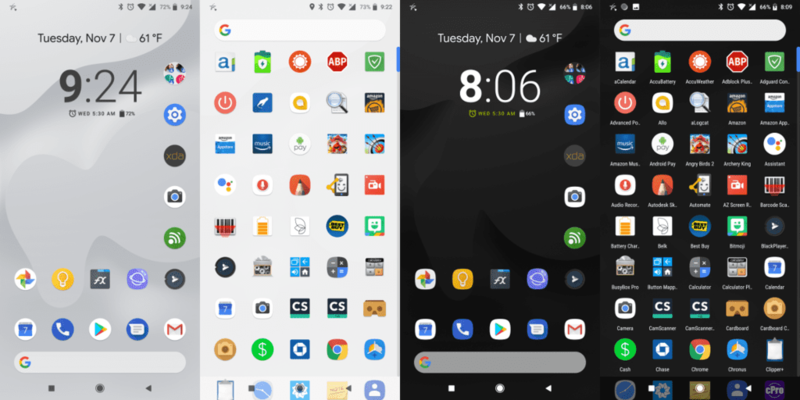 The Pixel 2 and Pixel 2 XL launched with a newer version of the Google Launcher, though, and crafty XDA Senior Member sharkie405 has modified it with features not found in the original version. It’s specifically made for Pixel devices running the Taimen 8.1 Developer Preview 1, and you will need root access to install it. Thankfully, Magisk, one of the newest rooting exploits for Android devices, was recently updated for the Pixel 2. Installing the modified launcher itself is pretty simple, but you will need a root-enabled file explorer. We recommend MiXplorer on XDA Labs.